Diets | Healthy Foods | Vitamins: Lose the Weight, Do Not Lose Heart! Lose the Weight, Do Not Lose Heart! When we are trying to lose weight, food becomes a big deal to us. 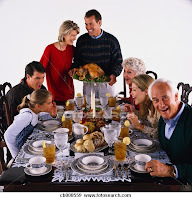 Families often celebrate a happy occasion around the dinner table - Easter, Thanksgiving, Christmas, birthdays and so on. When friends meet to catch up, they often do it over dinner at a restaurant. And when business people attend conferences and seminars, they have corporate buffet and dinner functions as well. The common thing in all of these events is food - we tend to eat a lot at such events! For those of us trying to lose weight, attending such events become doubly difficult. And it is not only the easy accessibility to food and the abundance of it at these events that makes it hard to lose weight. There can be any number of setbacks along the way to make one's resolve dissolve! You could fall sick, have too much work and responsibilities at home and become stressed, or depressed. And when that happens, there is a tendency to revert to bad eating habits, or to seek solace in food. Do not plunge into a weight loss program and hope to succeed. Many people fail in their quest to lose weight mainly because they do not recognize how difficult it is to break old habits and adhere to new ones. Hence they do not set clear and realistic goals. The key is to make sustainable changes instead of adopting an all of nothing approach. Begin by setting achievable short-term goals. This will make it easier for you to stick to your plans, and counter the negativity that comes with not being able to accomplish goals that are far too daunting. Find substitutes for foods and beverages that you usually consume instead of eliminating them altogether. You could switch to foods with lower fat content or calorie count, and resist buying unhealthy snacks when grocery shopping. Try also reducing portion size gradually, and drink water instead of soda. Do not embark on an overly ambitious exercise program, especially if you haven't been exercising regularly. You are likely to be highly enthusiastic in the beginning, but gradually become lazy, and slacken because of lack of discipline and motivation. Start on a program you know you can continue on based on your energy levels, your work schedule, and your free time. 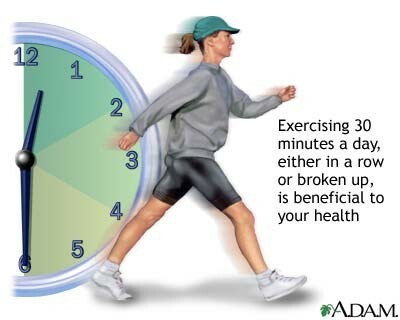 Nothing gets you off track faster than skipping your planned exercise program when you lack the time for it. That is a slippery road. Remember that slow and steady wins the race. Yeah this post title is encouraging for the people who want to lose their weight . . .